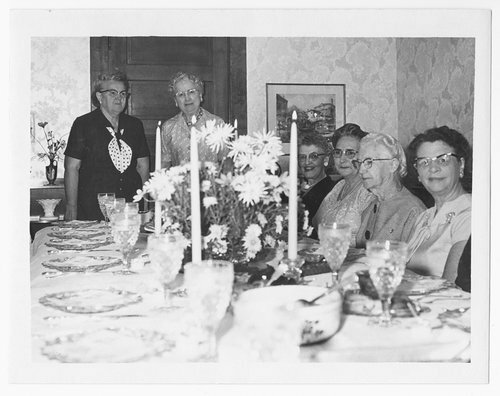 Here are several photographs showing members of the Priscilla Club, Cimarron, Kansas. There are interior and exterior views. Three show a very formal table setting.